DAV Centenary Public School Nabha and Aarya Pradeshik Pratinidhi Upsabha organised Swami Shraddhanand Balidan Diwas under the guidance of our worthy Principal Miss Meena Mehta. On this occasion Mr Rohit Arya enlightened the students about the life history of Swami Shraddhanand Ji and the reformation done b luy him for improving the society. Havana Yajana was also conducted in the school .Students were acquainted about the sacrifices done by him for the betterment of the society and empowering the status of women at that time .Along with it the Martydom day of four sons of Shri Guru Gobind Singh Ji was also there. Holy prayers were chanted in their memory by Mr Kuldeep Rai and the students. 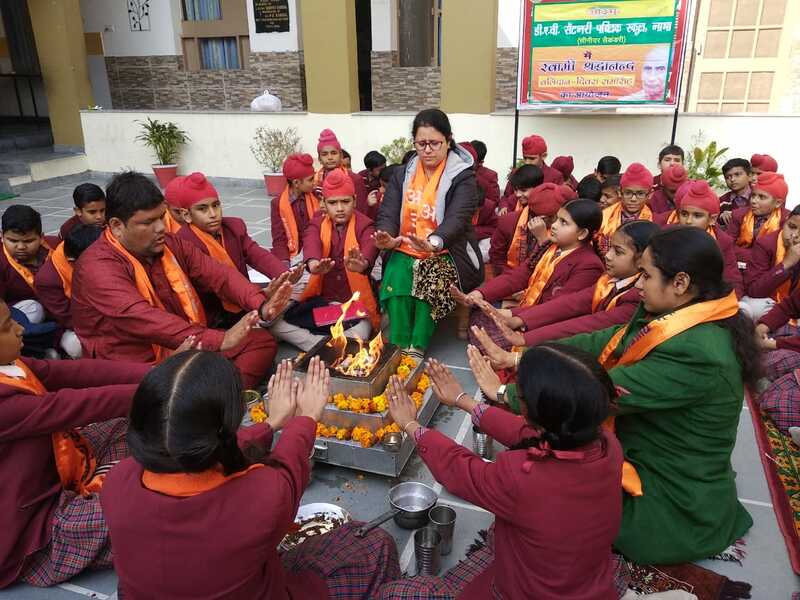 In the end the Principal addressed the students by making them aware about the life of Swami Shraddhanand ji .She also told the children about the’ Shuddhi Andolan’initiated by Swamiji that became the cause of his untimely death . His whole life was based on sacrifice and we should learn from his life.